Shopping for a new Nissan Murano? If you’re looking to save a few dollars, skip the leather interior and opt for a Murano SV with Premium Package. It has the same audio system, heated seats, safety features, and wheels as pricier models, but without the unimpressive hides. The 2018 Nissan Murano adds better active safety to complement its sharp looks and easy-driving nature. The 2018 Nissan Murano mid-size crossover is pedestrian with a bit of panache in its looks. 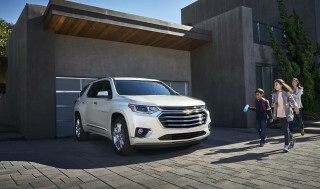 It added common-sense safety features this year that are becoming increasingly standard on family crossovers. Standard forward collision warnings with automatic emergency braking are new this year across the Murano lineup, which remains far ahead of other crossovers in many respects, including style and interior comfort. Prices for the 2018 Murano start around $32,000 and ends up close to $45,000. The Murano is offered in S, SV, SL, and Platinum trim levels with a smattering of options scattered among the grades. The same 3.5-liter V-6 and continuously variable transmission (CVT) power the Murano this year. It’s tuned more for everyday comfort than outright performance, and the automatic transmission helps keep the aged V-6 relatively fuel efficient. The Murano’s 24-mpg combined rating in front- or all-wheel-drive configuration is still among the highest in its class—provided you don’t spring for batteries or a diesel powertrain. The composed and comfortable ride is best when you’re not in a hurry, and with a spacious cabin that can be fitted with plenty of amenities, so what’s the rush? While base S versions are somewhat spartan with cloth upholstery and manually adjustable seats, top trims are fairly tony with leather, heated and cooled front buckets, heated rear seats, and a dual-pane moonroof. Beyond newly standard advanced safety features, the Murano can load up on better tech still. Climb up the trim ladder and blind-spot monitors, adaptive cruise control, and surround-view cameras are thrown into the mix. Coupled with relatively good safety ratings from federal and independent officials, the Murano’s value comes into view. That’s assuming you don’t notice the relatively sharp lines, floating roof, and creased sheet metal it wears first. The 2018 Nissan Murano is as fashion-forward as a mainstream crossover gets. The Nissan Murano broke convention and our minds when it was teased back in 2013. The crossover skipped the bulky bulges and chunky SUV tradition and shot straight with a trick floating roofline and a curved roofline that has since trickled down to other Nissan—and other automakers’—designs. There’s a lot going on from the outside, so excuse us while we indulge in the details. 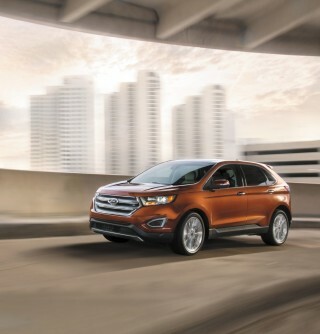 Up front, a wide V-shaped grille wears well. It’s flanked by headlights that crawl comparatively far up the hood. 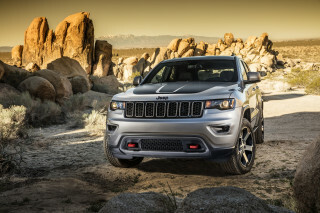 The boomerang headlights and grille point down toward a lower front bumper that relieves the visual pressure with chrome accents that reach toward the front wheels. Along the sides, the Murano has a mountain of styling detail that begins with swollen front fenders and arches along the belt line with a crease that grasps the rear taillights. The deeply pinched metal is relieved by curves under the doors that bring light back onto the sides, which are hardly flat. The floating roofline is punctuated better by lighter shades, but the Murano is daring—regardless of shade. The back is busier than we’d like, but it’s not bad. An oddly shaped V on the hatchback reads to us like a mustache (perhaps with handlebars), but the Murano cleans up nicely. Inside, the lower dash affords excellent outward vision. The hooded gauges are a sporty nod, but we wish the interior took a luxury bent instead: there’s no woodgrain to be found anywhere in the cabin. The overall look wraps around the passengers with a panoramic feel, and one that makes the space feel larger than it is. The 2018 Nissan Murano is a sure-footed family crossover that prioritizes comfort over drivability. The 2018 Nissan Murano is lock-step in line with the rest of its class in terms of powertrain performance, despite its extroverted appearance. The Murano’s car-like suspension is to thank for that soft ride. Nissan used front struts and a rear multi-link setup to damp harsh roads for the 4,000-pound crossover. Opting for the 20-inch wheels (standard on the Platinum trim level) somewhat spoils that soft ride, but every Murano is tuned for a creamy ride. There’s more body lean in the Murano than in other crossovers, a byproduct of its focus on comfort. Nissan’s use of a more traditional hydraulic steering system in the Murano is noticeable. The system builds weight and unwinds nicely, with a comfortable “dead spot” in the middle of the wheel for better highway stability. The V-6 found under the Murano’s hood is similarly focused on fading into the background. 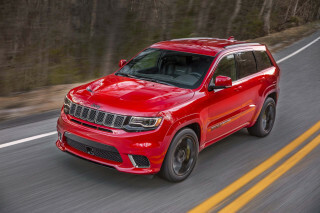 The aged, 3.5-liter V-6 makes 260 horsepower and 240 pound-feet of torque. Its nastier notes have been tamed by more sound-deadening material for the cabin, but when pressed, the Murano brays for a slower pace. The engine’s combo with the CVT is a long-running partnership that’s been built on efficiency and reliability—not driving enthusiasm. The CVT can simulate “gears” when pressed, but acceleration is still fairly leisurely. All-wheel drive is available at every trim level for $1,600, and it’s best suited for poor-weather traction than conquering a craggy mountain. The Murano is only rated to tow up to 1,500 pounds, which is fairly low among competitors. The 2018 Nissan Murano is comfortable for four, with plenty of room in the back for cargo. 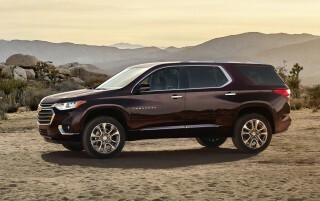 Although we’re split on the Murano’s exterior, we found favorable common ground on the interior accommodations. Base versions that have cloth interiors aren’t much to write home about, but top-tier models approach luxury-car status in some places. Nissan equips the S and SV trim levels with a durable suede-like interior that appears to wear well, but doesn’t do much for the interior looks. Stepping up to SL and Platinum trims bring standard leather and an additional mocha color that warms up the interior, by our eyes at least, but the hides aren’t high-quality. According to Nissan, the Murano is equipped with neutral-posture seats that are designed to reduce fatigue through better back alignment—switch-cracking nuns not necessary. We’ll say they’re comfortable, but lack the thigh support found on competitors. Once inside, the Murano offers a natural driving position relatively unfettered with clunky dash or poor ride height. There’s plenty of head room for tall drivers or passengers, and the elbow rests are placed in a comfortable position for many body types. In back, the outboard positions are deeply sculpted and optionally heated. The advantage of such comfortable rear seats is that four adults will fit with ease aboard the Murano. The disadvantage? If duty ever calls for a fifth passenger, riding “hump” will be a mostly uncomfortable affair. Rear seat passengers get 38.7 inches of leg room, and with the rear seats up, the Murano holds 32.1 cubic feet of cargo. Fold the second row flat and that expands to 67 cubes. The 2018 Nissan Murano comes equipped with automatic emergency braking standard on all trim levels. The news this year for the 2018 Nissan Murano is standard automatic emergency braking across the lineup—even on base models. That asterisk? According to federal testers, front-wheel-drive Muranos fare slightly worse in frontal crashes than their all-wheel-drive counterparts. The scores for both models are identical, which could mean that it’s down to a small weight difference factored into the final calculation. 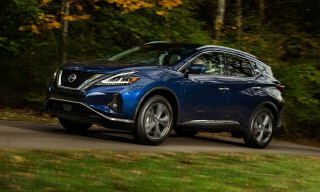 The NHTSA grants the all-wheel-drive version a five-star overall score (four stars for the front-drive version) and the IIHS gave the Murano top scores on all crash tests performed. 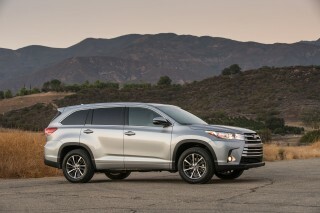 It misses out on the Top Safety Pick award because its headlights check in with a "Marginal" rating. Standard automatic emergency braking on all trim levels this year should help bring the Murano in line with rapidly evolving safety standards for most crossovers. According to the IIHS, the system avoided low-speed collisions (12 mph or slower) and mitigated higher-speed crashes (25 mpg or faster). All Muranos are equipped with a rearview camera. SV and higher versions get blind-spot monitors. SL trim levels or higher add a surround-view camera system and adaptive cruise control. In addition to active safety equipment, the Murano is equipped with a standard complement of airbags for all passengers including a driver’s knee airbag and supplemental rollover airbags for rear passenger protection. Every 2018 Nissan Murano gets an 8.0-inch touchscreen and navigation. Few rivals can boast the same. This year the news for the 2018 Nissan Murano is a raft of advanced safety features that are standard on every trim level, which we cover separately. The better news is that the Murano can be well-equipped in base trims, or near-luxury in top Platinum versions. The base Murano S is equipped with 18-inch wheels, cloth upholstery, a 60/40-split folding second row, two USB ports, Bluetooth connectivity, navigation, and an 8.0-inch touchscreen for infotainment with Apple CarPlay compatibility. 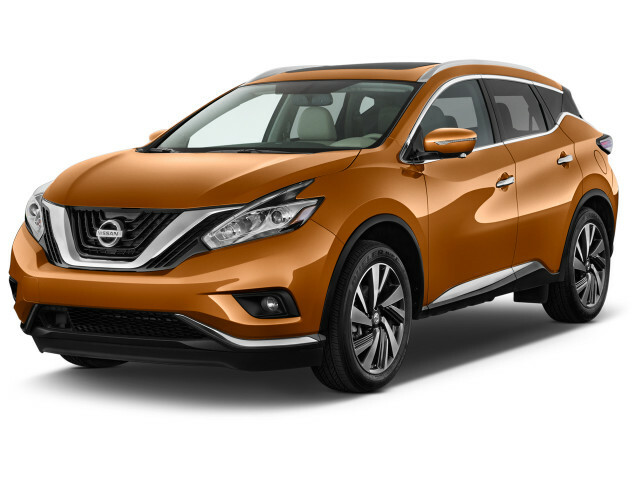 The Murano is offered in S, SV, SL, and Platinum trim levels. 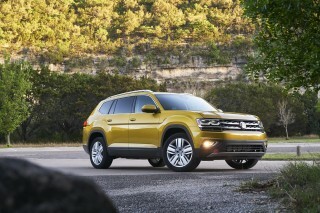 Base versions start at $31,525 and all-wheel drive is optional on all grades for $1,600. The SV-equipped Muranos add a leather-wrapped steering wheel, fog lights, power adjustable front seats, remote start, and more standard safety features. A premium package for the SV trim level adds premium audio, heated front seats, a surround-view camera system, and gray 18-inch wheels. Stepping into the SL trim level brings the Murano closer to a luxury car with leather upholstery, premium audio by Bose, a motion-activated power liftgate, heated steering wheel, heated rear seats, and more standard safety features such as adaptive cruise control. 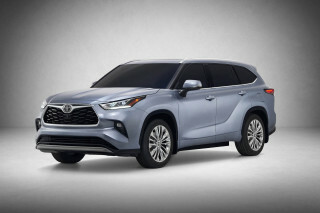 A panoramic moonroof and special “Midnight Edition” packages are available for SL-trimmed Muranos, the latter adding blacked-out trim pieces and 20-inch wheels. The Platinum trim takes care of it all with a power adjustable steering wheel, 20-inch wheels, dual-pane moonroof, LED headlights, heated and cooled front seats, power folding rear seats, and Nissan’s telematics that can offer destination assistance or concierge services. Nissan’s infotainment system is relatively straightforward to use, although it lacks some of the polish found on rivals. All-wheel drive or not, the 2018 Nissan Murano manages 24 mpg combined. The Murano uses a relatively lightweight all-wheel-drive system that only engages when the wheels are slipping, which accounts for those versions’ similar fuel economy figures. In its class, the Murano is respectable—although not at the head. 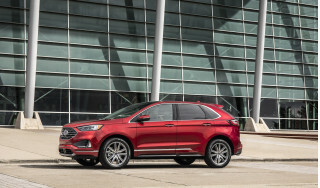 By comparison, the Ford Edge manages 24 mpg combined when equipped with a turbo-4 and the Lexus RX is rated at 22 mpg combined with all-wheel drive. The numbers for the Lexus shoot up significantly when equipped with a hybrid powertrain, which can add thousands to the overall cost. Looking for a different year of the Nissan Murano?